Melbourne is a foodies’ paradise. Every sort of cuisine is available. I don’t believe I have ever been someplace that has more dining options – seemingly cheek-to-jowl. Melbournians are coffee nuts. There are specialty coffeehouses everywhere and only rarely does one see a Starbucks (it’s “unpatriotic”). 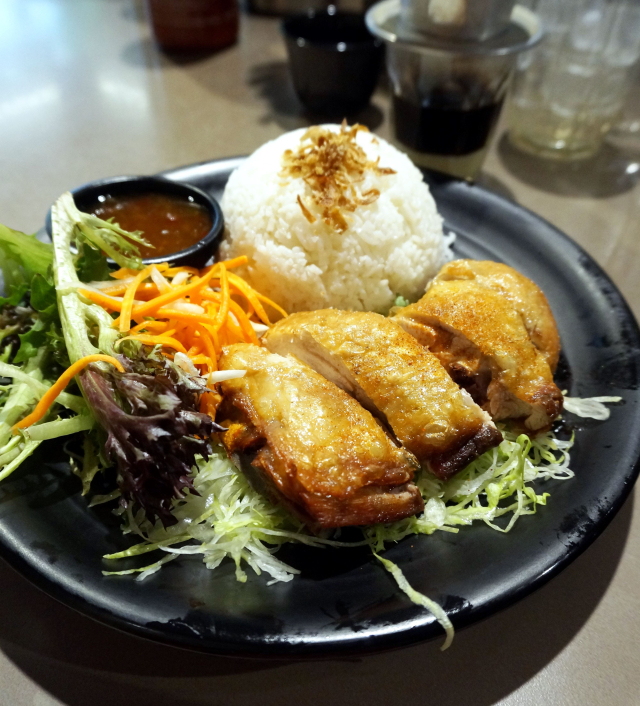 Pictured above is crispy-skinned chicken at a Vietnamese street food place. Today's lunch we had superb ramen at Fukuryu and then a superb Indian dinner at Red Pepper.